Mr. Wise Electric has been serving Atlanta with electrical service for more than 39+ years! 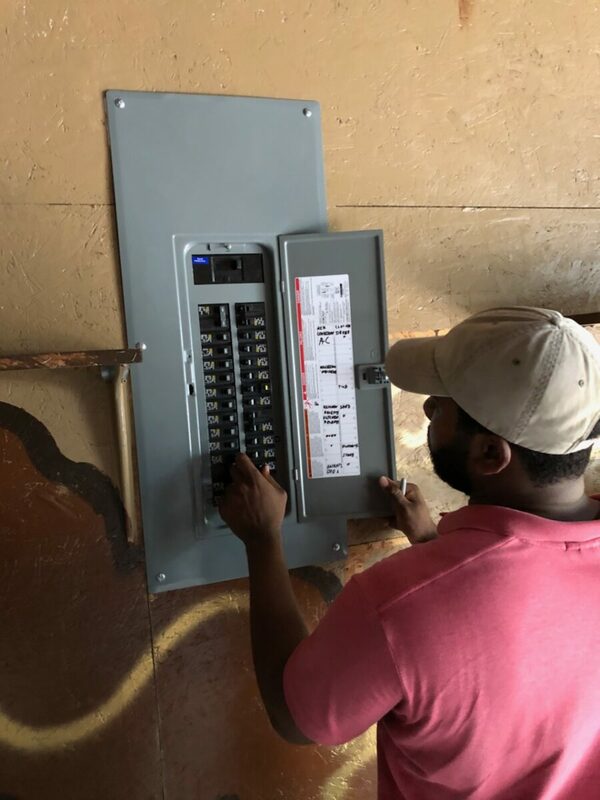 We have the best electricians in Atlanta who have years of experience and have all the necessary expertise to cater your electrical problems. Equipped with the right tools and expertise, our professionals prioritize your safety and security above anything. For Mr.Wise electric professionals there is no job too big or too small. From changing a switch at your home to installing an electrical system in a skyscraper, we do it all. We cater all sorts of commercial and residential clients. Call us today and get a free quote! When we give you an estimated cost of our services, we guarantee that it will not exceed a single cent above that. We have been in business for more than 39+ years and have managed the most complicated tasks with unprecedented expertise. All our professionals have the necessary qualifications and are thoroughly trained before being deployed on a project. You can call us at any time of the day, and our customer services professional will make sure your problems are resolved at the earliest. We offer free Electrical work estimates for electrical installation, and same day residential and commercial service inside the Atlanta area. As installers, all of our electricians possess years of on-the-job experience plus classroom training. Not only that they’re industry certified and committed to keeping up with the latest advances in the field. You can rest easy, because your electrical job will be in the best and most skilled hands that it can be at the most reasonable rates! Estimating electrical work sometime takes hours. 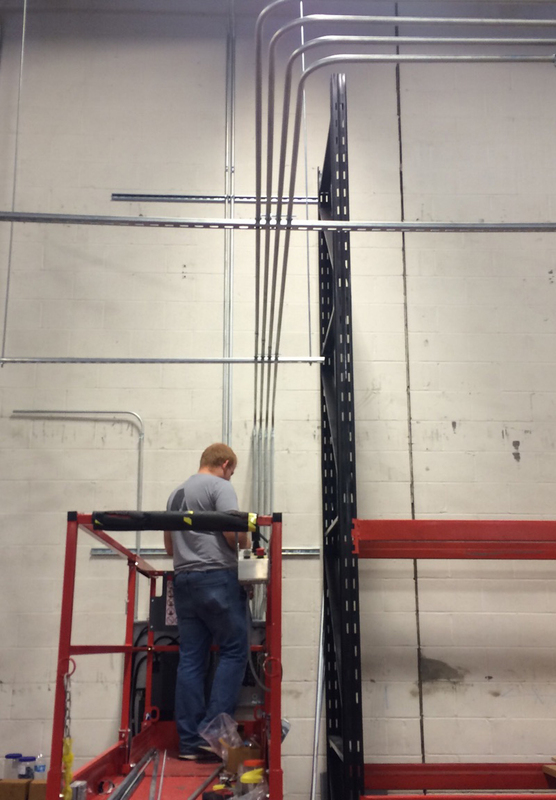 This Installation includes EMT electrical conduit in a plant for 3 phase power machinery and compressors. The connections were made by use of cord dropped twist-lock receptacles and plugs, type power supply. These circuit breaker panels were installed to provide power to the production lines. They are connected to a step down transformer, in order to reduce the voltage drop. The primary rating is 480 volts, which is converted to 120/208 volts for the secondary power circuits. The conduit that are entering the trough are installed in order to supply enough branch circuit lighting and receptacle amperage to the building. The main power source originates from main circuit breaker panels A, B, and C, which are 3 phase. This residential job required a main electric service upgrade. 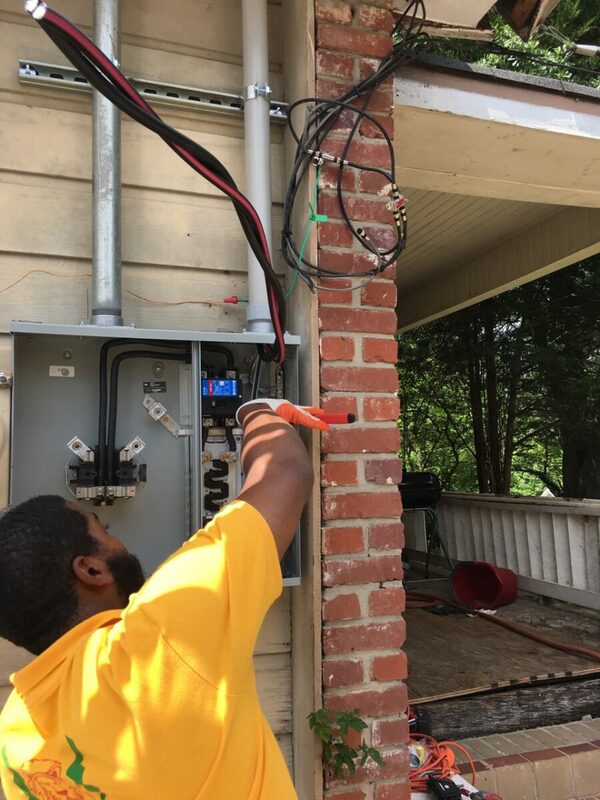 This electrical work included a feeder, panel, electric meter base, riser, grounding electrode with rods, and a new single phase powered breaker panel box. We were getting huge utility bills and were not really sure what was wrong. We had tried many companies but in vain. At last we contacted Mr.Wise Electric and they fixed our home’s wiring bringing our utility bills back to normal. Thank you Mr.Wise Electric! We had a short circuit at our cold storage in the middle of the night. There were a lot of perishable items stored in there and we needed an instant solution. We called up Mr.Wise Electric and they came to help in the middle of the night and saved us from a major loss. I was unable to find a good service to install my new home’s wiring system at affordable rates until I found Mr.Wise Electric on the internet. It’s been 6 years now and we are yet to face any issues with our wiring. Our company used Mr. Wise services to convert T12 lighting to LED. Darius, the technician was prompt and kept me posted in a timely manner. Job was done great and would recommend them to anyone. Fantastic. Have used Mr Wise for my personal property and multiple rental properties. They are professional and stand behind their work. Highly recommend. Reasons Why You Need an Electrician? Contact our Expert to get a Quote.